Roundabout Rochford is published and distributed monthly, on or around the first week of every month. Distribution alternates between two areas of 6,500 on a monthly basis – that’s an estimated 25,000 potential customers! 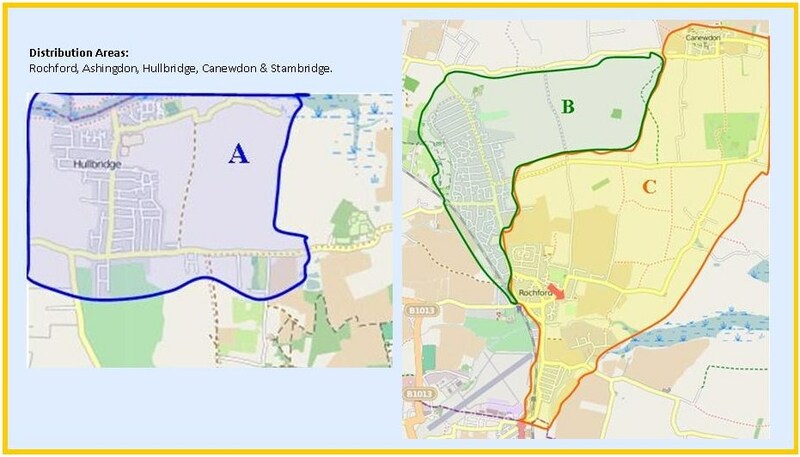 JAN, MAR, MAY, JUL, SEP, NOV: Areas A & C. Rochford, Hullbridge, Canewdon, Stambridge. FEB, APR, JUN, AUG, OCT, DEC: Areas B & A. Ashingdon, Hawkwell East, Hullbridge.